Salt Lake Community College’s largest campus, the Taylorsville Redwood Campus, covers over 100 acres and includes 12 buildings and athletic facilities. The campus requires daily maintenance, including shoveling snow during the winter, trash removal and many other things. The custodians at SLCC work every day to keep our campus clean. 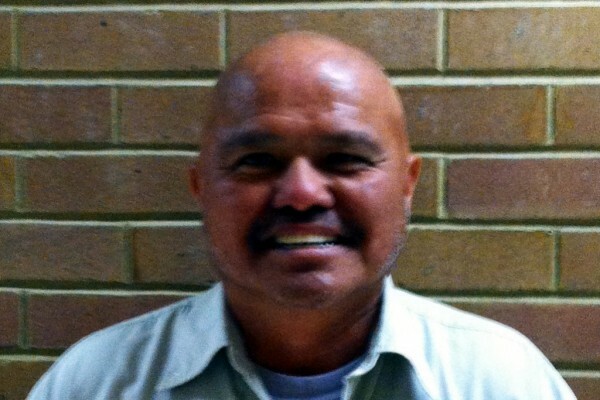 Gordon Tallis, whose official title is Custodian II day crew lead, has been working at the college for nearly 26 years. What makes Tallis so unique is that no matter the job he has to complete or the weather outside, he is always smiling. Tallis has worked his way from being a member of the custodial crew at the Taylorsville Redwood Campus to becoming the day crew lead custodian. Tallis is in charge of six other custodians and is assigned new tasks to complete each day along with the many calls that he receives for various jobs around the campus. Tallis has enjoyed his 26 years at SLCC and enjoys the social aspect of being on a college campus. He also enjoys getting to help new students find their way around the campus. Tallis acknowledged that he has a difficult job and says that “being so sweaty in the summer” is the worst part, but that little things make the job worth it. A good leader will always have a good crew, and Tallis knows that he wouldn’t be able to complete all of the jobs assigned to him on campus without the group he leads. Students can help make a tough job easier by getting their trash in the right receptacle and thanking the custodians for the job they do.